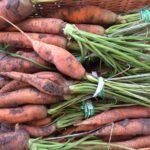 Farmer’s Markets are a wonderful way for all of us to support our local growers, and at the same time, enjoy fresh produce that we have hand selected. 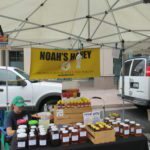 Oftentimes the markets generate a fun atmosphere, and what better way to enjoy shopping while visiting with the very family that harvested the produce or baked the goods. 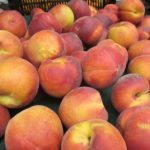 Now that summer is here, we are welcoming delicious strawberries and peaches, sweet corn, Asparagus, heirloom tomatoes, zucchini, rainbow chard and lettuces galore. 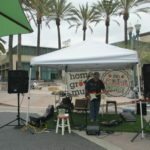 –Irvine at Mariner’s Church Parking Lot- Saturday- There must be over 90 vendors here, including crafts and so many various items it is great fun. And there is typically someone playing the guitar near the entry. Whatever ingredient I am looking for to include in a recipe I can find it there! 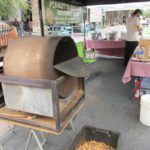 –Old Towne Orange- Saturday- This is a small market, but I enjoy going there to see the local offerings, pick up some bread from one of my favorite bakers (Dean Kim of OC Bakery). My other favorite bread is found at The Camp by Chef Rachel at Blackmarket Bakery. I also like the small-town vibe of this market. They also often have guest speakers many Saturday mornings and that is always enjoyable. –The Great Park in Irvine- Sunday- This is probably the second largest, behind Irvine on Saturday’s. The setting is lovely with a tree lined pathway that meanders through in a horseshoe shape trail. The market has many vendors of all types— from fruits and vegetables, to honey, teas, and other products such as: fabric purses, bicycles, wine holders and other crafts. At the far end is a food truck court, so no one should be going hungry here. In the center there is often a musical group playing under the shade of the trees. It is really a lovely setting. 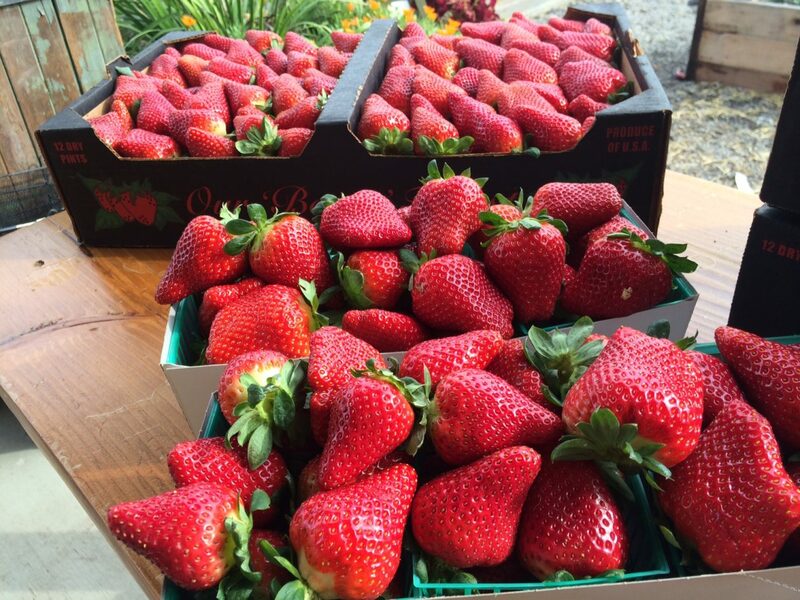 It’s A Farmer’s Market Every Day at Manassero Farms in Irvine and South Coast Farms in South County- SJC!! 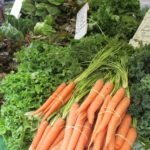 I am passionate about my local Farmers Market’s, however it is not always convenient for me to head off on Saturday or Sunday morning (to my favorite ones) to go shop. So for me, this is a wonderful alternative. 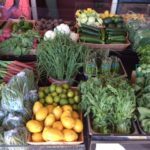 I can pop in and purchase the best in-season fare, with vegetables galore. 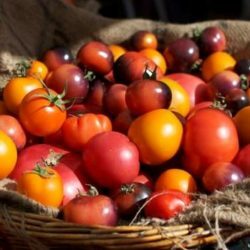 They have fresh Strawberries back in season and they just planted their Heirloom Tomatoes!!! It is a treasure-trove of goodness and I am always thrilled to look in the display cases to see what is here this week! This past week, I had delicious zucchini, and root veges, fresh beets and even Golden ones which are hard to find. I roast them they were packed with flavor. (Unlike what I receive in the market which just lacks flavor all-together.) Open 7 Days a Week! As I scan the fresh produce, I marvel at the tractor out the back that is humming along the dirt trail— off to work the land. It is a little plot of heaven right here in my little urban Irvine. The Pascal Scarecrow stands guard at the entrance to the fields, and it is just a bit of timelessness. I feel at one with the earth, if just for a few moments. 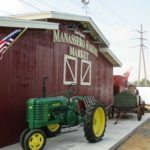 www.ManasseroFarms.com The location with the barn and various home products is on Jeffrey Blvd. just south of Irvine Center Drive, at the Irvine Valley College campus. Open 7 Days a Week! VISIT THEIR WEB SITE FOR FUN EVENTS…. COOKING CLASSES, BREAKFAST IN THE BARN, AND FUN!! In addition to Manaserro Farms in Irvine, for those in South County there is South Coast Farms in San Juan Capistrano. 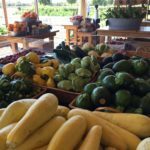 They are a Certified Organic Farm, and are open Monday thru Saturday from 9:00am to 5:00pm and on Sundays til 4:00pm. South Coast Farms is located right next to The Ecology Center at: 32701 Alipaz St, San Juan Capistrano, CA 92675 The phone number is:(949) 661-9381. So, every day but Monday there seems to be a market somewhere nearby. I have gone through to create this list, and updated the information as changes or additions occur. 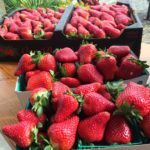 Huge Market with over 90 vendors: Fruits, vegetables, baked goods, flowers, plants, craft items, popcorn, and entertainment! A must visit. 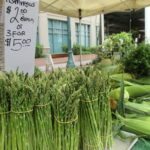 Rather small market but includes various fruits, veges, and other vendors with a local vibe. 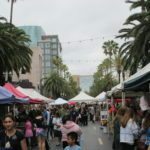 Just west of Pacific Coast Highway at Marguerite Avenue in CdM is a perfect corridor of parking lots that are transformed at sunrise to create a strolling pathway of market envy from one end to the other. One by one, the market unfurls—-awakening to a quaint “neighborhood market” in every sense of the word. Many of the customers are greeted by name as their weekly selections are passed, like cards in a quick game of twenty-one. On this fine day, the market featured 25 vendors, including 8 different farms all providing exceptional fruits and vegetables. 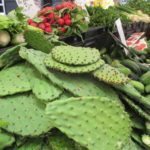 Other vendors were offering: fresh fish, beef & sausage, baked breads galore, olive oils & balsamic vinegars, fresh mushrooms of many types & truffle oils, pistachios and almonds, hand-crafted soaps, French market baskets, herbs and succulents, as well as a wide variety of flowers. 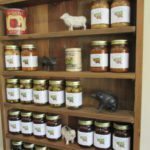 Prepared foods included: kettle corn, gourmet tamales, juices, homemade salsa (eight varieties), pesto (numerous choices), as well as Italian pastas, sauces and dessert items from a local restaurant and wholesaler. My head was spinning with ideas from my basket of treasures. 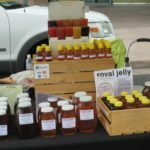 this market includes: honey, meats, eggs, seafood bakery, seafood, jams, and so forth. Parking is free but suggest coming early as the parking not easy to find once everyone wakes up. Farmers Park is located adjacent to the historic Anaheim Packing District. 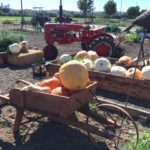 Farmers Park is a beautiful two acre park featuring a grassy knoll, redwood boardwalk, community gardens and an olive grove. On the south end is the Packing District which is also a pleasure to explore. This is a restored building that operated at the turn of the century as a real packing house for fruits and vegetables being crated for railroad shipments heading off to other states. Today it is a tri-level enclave with small-scale restaurants and community seating all around. They feature cuisine from around the globe—from Indian street food, to Southern fare, burgers, sushi, craft beers, juice bar, ice cream, and even a prohibition speakeasy bar. On the north end of the Park is the Anaheim Brewery & Tasting Room. This was originally a pre-prohibition brewery from the turn of the century. 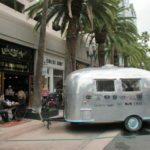 Each week various “fashionista mobile boutiques” arrive to display their clothing. For example, Mod Owl will be there 6/21, Waves of Attire will be on site 7/19, 8/2 & 8/23, and Fashion on the Run on 6/28, 7/12, 7/26 & 8/9. Each week different musical acts play— adding to the casual, neighborhood ambiance of a lazy summer Sunday afternoon. 200 block Avenida Del Mar Dr.
Main Street- Between PCH and Orange Street. E. Birch St and S. Brea Blvd. 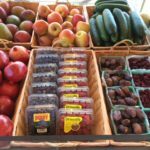 This Farmer’s Market was first established in 1995 and has been running strong ever since. 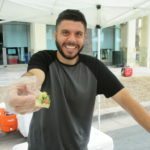 It is one of the larger markets offering not only fruits, vegetables and gourmet foods, but also features crafts, entertainment and food cooked right there on-site. As the Center Street Promenade and Lemon Street grow, it is creating a great collection of retail shops, restaurants and boutiques. There is a sense of community here. 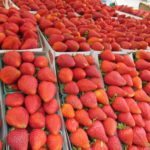 Many of the establishments open their doors & patios, and really become an extension of the activity on Farmer’s Market day. There is the Colony Wine Merchant on Lemon Street, restaurants galore, a Center Street Cheese Shop, Barbeer (a barber shop with a brew pub in the back), a yoga store, home goods, a cigar shop is coming soon, and so much more. It is a vibrant area on Thursdays, and with the street being closed to cars, it creates the perfect walking path to stroll along. 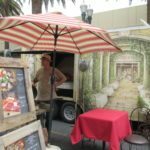 On a recent walk-thru I found friendly vendors at every stop. Certified local growers proudly displayed their seasonal fruits and vegetables including: asparagus, sweet corn, broccoli, avocados, tomatoes, carrots, kale, cauliflower, cactus, radishes, herbs, potatoes chard, beets, onions and celery. 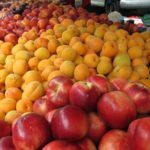 Seasonal fruits include: nectarines, peaches, cantaloupes, apricots, cherries and strawberries. Gourmet artisanal food was also a treat to find, and we had a vendor selling 50 flavors of hummus and spreads (Mom’s Specialty Foods), roasted peanuts, sausage, ham and turkey, pot pies and artisan breads. Jav’s BBQ was grilling delicious chicken right there, as was Piazza Pie with a wood burning oven cooking made-to-order Italian style pizzas. There is also a craft section to this market, selling handmade clothing, hair adornments for girls, leather goods, and so forth. Flowers, herbs and a lovely selection of plants were on hand from Laguna Nursery. There are typically two musicians playing on Thursdays—offering continuous music and song. One performer sings and plays from 11:00am to 1:00pm, and a second musician plays from 1:00-4:00pm. The music adds a celebratory atmosphere to the market experience. The End… but if you hear of a new one please send me a note and we can add them!